We believe that choosing Vintage Faire Residential is a positive first step for you and your family. Vintage Faire Residential is a small, warm, home environment setting. Come and see why our residents never want to leave. This is the result of our commitment to quality care that is provided on a daily basis. As an assisted living center for the senior community, Vintage Faire Residential is committed to providing the highest quality of care. We understand the varying needs of seniors and offer various levels of care that address each individual’s specific needs. 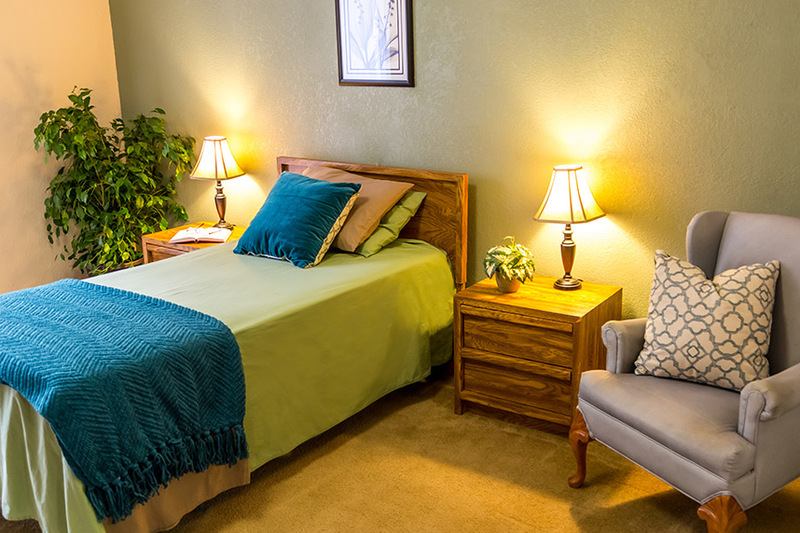 Our home environment and intimate setting provide a comfortable atmosphere, and our daily activities and social functions offer carefree enjoyment for our residents. Contact us today to find out more about what Vintage Faire Residential can do for you! Here at Vintage Faire Residential we offer 3 meals a day, and 2 scheduled snacks. All meals are served in a family style dining room. 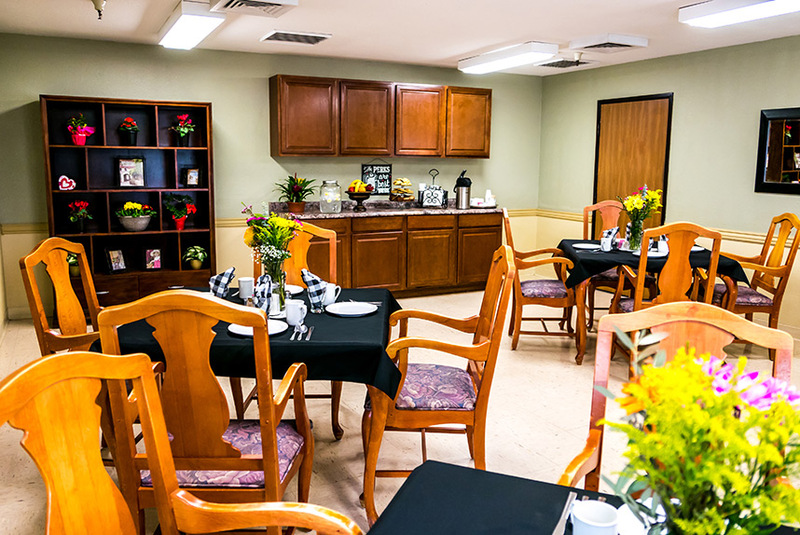 All residents are required to eat their meals in the dining room. Tray service will be provided for a resident in cases of short illness. All meals are home made here in our own kitchen. We make all soups from scratch, never from a can. We create and bake all desserts daily, and fresh vegetables and fruits are used when in season. We prepare a wide variety of meals that represent many ethnic backgrounds such as American, Mexican, Italian and Oriental. During the spring and summer months we offer a BBQ style meal at least once a month. We prepare picnic lunches for outings and special requests. We work with each individual resident on an ongoing basis for likes and dislikes. We are always open to suggestion, recipes, and meal ideas. We try to meet all dietary preferences for every resident. We follow all special order diets, whether physician ordered or resident requested.